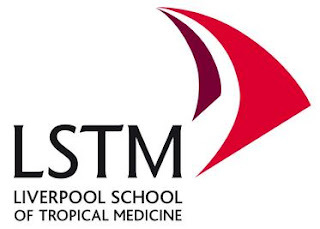 Liverpool School of Tropical Medicine (LSTM) invites applications from medical doctors (MBBS or equivalent) from developing countries, who have at least two years clinical working experience specialising in the field of Paediatrics and applying for the MSc Tropical Paediatrics (MTP) at LSTM. The highly competitive Thomas Mark Scholarship was established to support eligible students undertaking the MSc in Tropical Paediatrics, one of LSTM’s flagship education programmes. The programme is based in Liverpool (UK) and will be one year full-time. LSTM’s MSc in Tropical Paediatrics produces graduates who are experienced, committed, informed, proactive and capable of taking substantial and leading professional roles. Working currently in a developing country and planning to return to work in a developing country upon completion of the programme. Eligible students offered a conditional place on a course will automatically be sent a scholarship application form. Applicants are required to demonstrate a strong interest in research, evidenced by published papers and conference presentations. Students will address both curative and preventive strategies relating to common disorders of children from both a clinical and community perspective. Emphasis is given to the development of research skills applicable to a wide range of child health-related problems in clinical and epidemiological settings. Students will complete a short project, which can include a two month period of applied research in an overseas location. An optional period of study in Liverpool may be chosen as an alternative to an overseas project. The scholarship has an approx value of £30,000 and covers tuition fees (including research project), flights, accommodation and a living allowance. Expenses apply to the student only and not any spouse or dependents. Thomas Mark scholarship application forms will be sent only to applicants holding a conditional offer for the MTP. Applications for the MTP are accepted all year round, however, candidates wishing to apply for the Thomas Mark scholarship must apply for the MTP by a certain deadline date (see here and below). Applications for the MTP are accepted all year round, however, if you wish to apply for the Thomas Mark scholarship you must apply for the MTP by midnight 30th November 2016 and return their scholarship application form by midnight 31st December 2016. The Liverpool School of Tropical Medicine (LSTM) is a higher education institution and registered charity located in Liverpool, United Kingdom. Established in 1898, it was the first institution in the world dedicated to research and teaching in tropical medicine. The school has a research portfolio of over £220 million, assisted by funding from organisations such as the Bill & Melinda Gates Foundation, Wellcome Trust and Department for International Development (DFID).